one cannot live on chevys alone, so i offer up something else for a change. 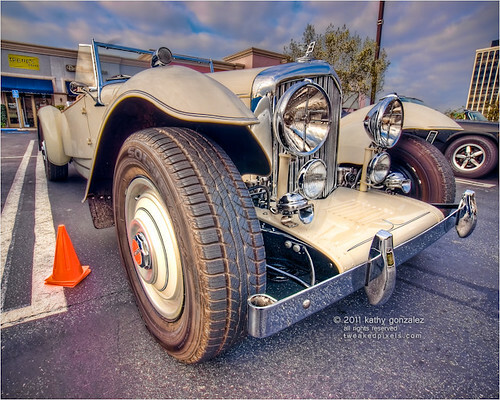 here's a bentley i saw at the million dollar breakfast club in marina del rey. while not entirely pretentious, it wouldn't be one that i'd go out and buy for myself, on the imaginery thought that i'd had the money to do so. it has an interesting burled wood dash and the driver's side is on the left. the interior is a tan leather, so i assume the seating would be somewhat comfortable, at least to the touch. i think i mostly like the front end with the big headlamps on cars from this period. anyway, got that out of my system. i'll be back to chevy's, pontiacs, fords, etcetera, etcetera, etcetera next time.